Lightweight planter for outdoor and indoor use. 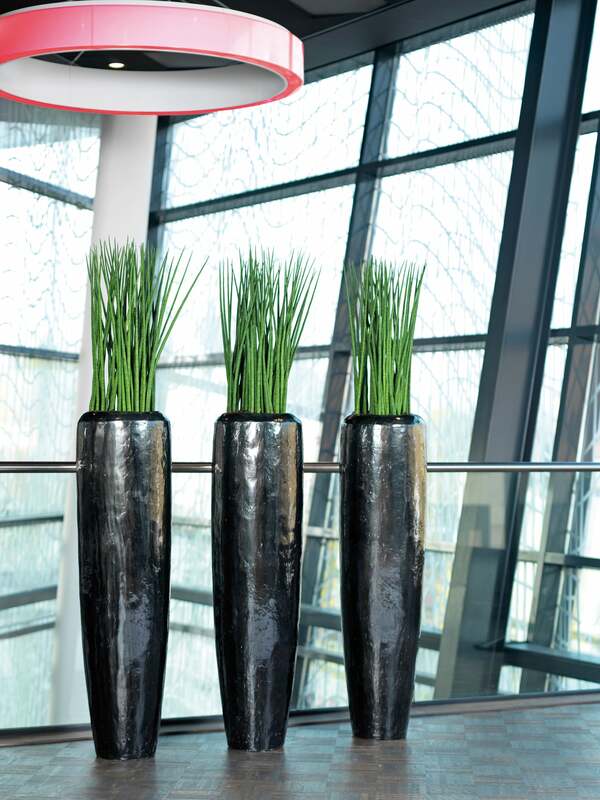 These pots are made of an innovative material made of plastic and real metal particles. The lightweight and sturdy planters are not painted and are therefore UV-resistant. Over time the planters develop a real patina, but can not rust due to their durable material.